I have always wanted a window seat, perhaps there is a certain kind of cosy romanticism about them? Fortunately I am lucky enough to have a tall window in the lounge which has a deep enough recess at just the right height for a seat. It's now just a case of finding the right textile accessories to transform the space into a little rectangle of style & comfort - great for reading or simply daydreaming on a sunny afternoon (at least that's what I am hoping for). 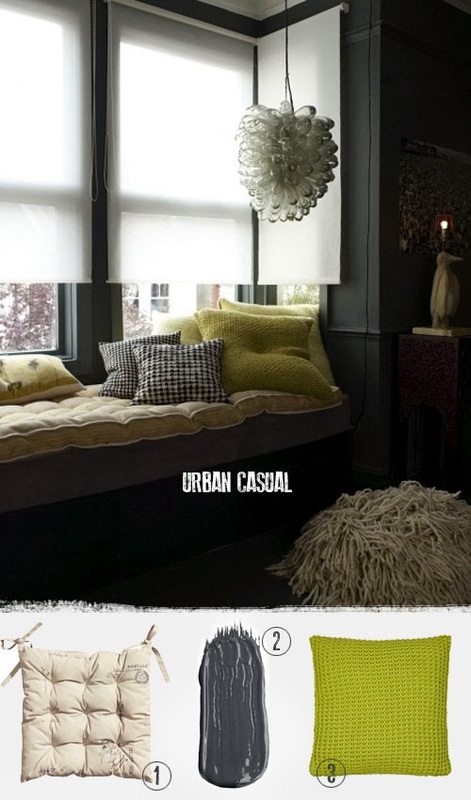 I didn't have to search far before I found some stunning window seat inspiration. 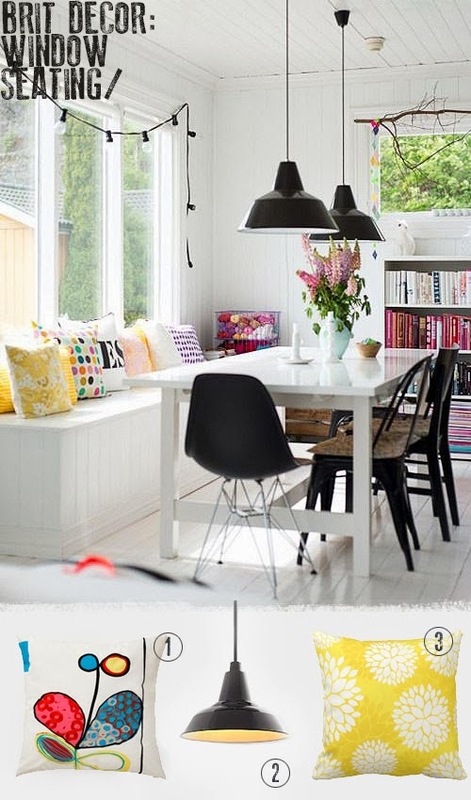 Look how uplifting the above setting is with my favourite base colour of brilliant white, which serves as a catalyst in relation to the intense and eclectic cushion colours. I really do love the mix of bright patterns and bold graphics. 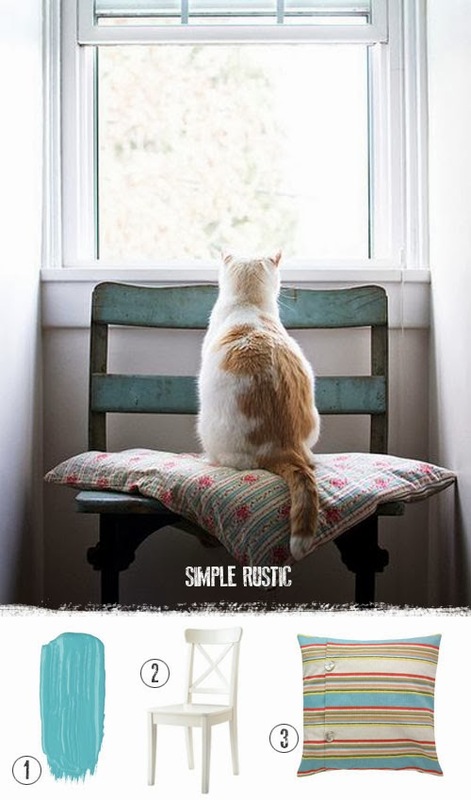 Simply adding scatter cushions is probably one of the easiest means of creating a window seat - just scatter and go. In contrast, the more subdued tones in Abigail Ahern's setting below, make for a gorgeous relaxed space with a distinctive urban casual feel. To achieve this look, opt for a neutral base cushion (preferably a seat pad) and add in one or two contrasting colours or patterns in slightly darker earthy tones. 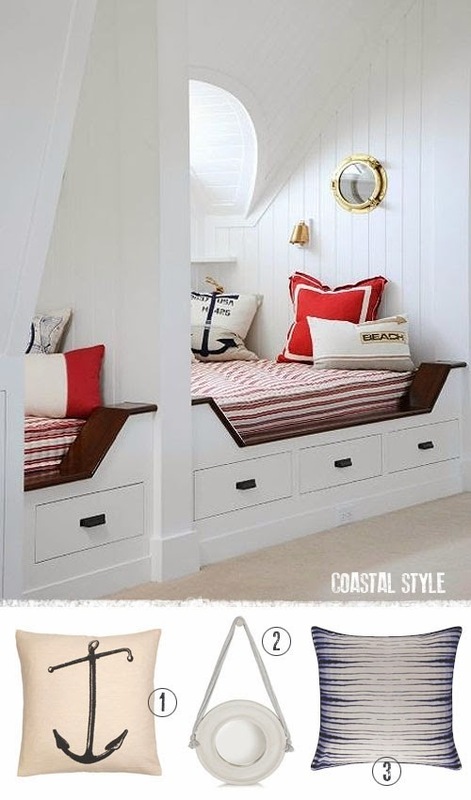 If you are thinking about going one step further, the Coastal Style setting below actually turns the window space into a charming day bed with added built-in storage to maximise the functionality of this clever design. Don't you just love the porthole hanging mirror from French Connection home? The final image shows that window seats can fit almost any interior space and it's not all about having a suitable recess and built-in seating. The relaxed rustic-styling is fantastic for adding a charming focal point and the ingredients are simply a chair and a cushion. For a truly rustic flavour, opt for pastel florals or pretty stripes (cat is optional!). I have also thrown into this mix some inspiring ideas on how to achieve a similar look through simple accessorising and I hope that you'll enjoy the selection. Do you have a window seat, how does it work for you?? Wishing you all an inspirational weekend!